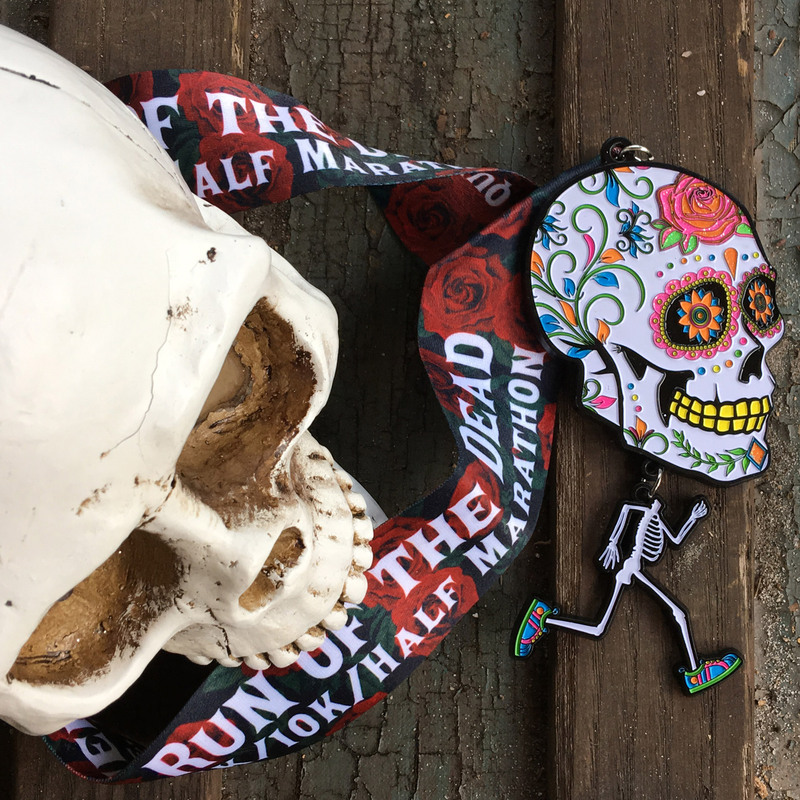 4/16 SHIPPING UPDATE: Orders containing Run of the Dead medals may not ship until mid May. For the thousands of people diagnosed every year with life-threatening blood cancers like leukemia and lymphoma, a cure exists and is in the hands of ordinary people. 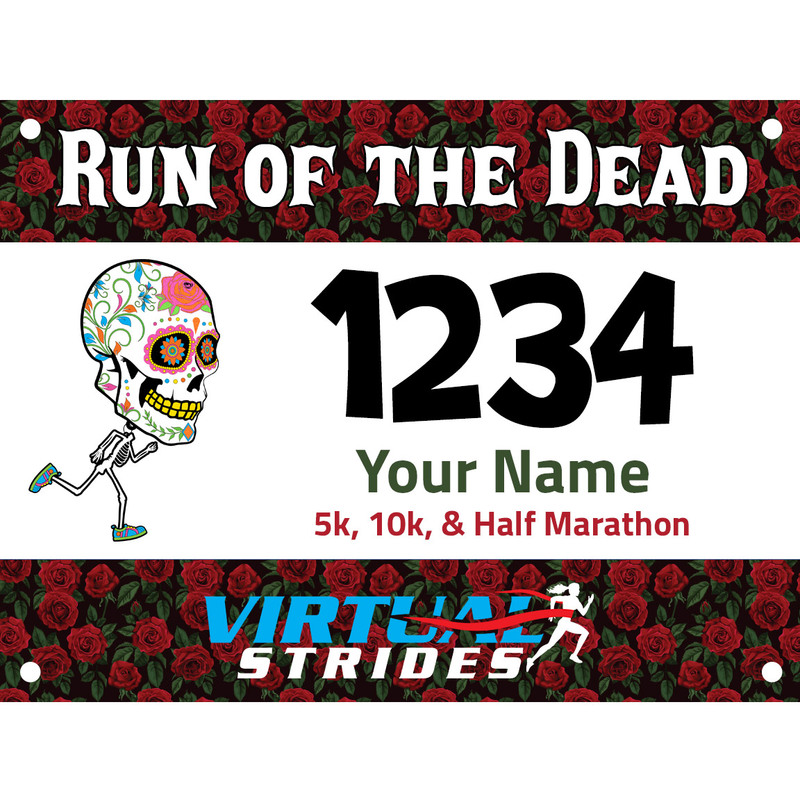 Help spread awareness and raise money for a charity dedicated to helping every patient facing life-threatening blood cancer get the life-saving transplant they need by participating in the Run of the Dead virtual 5k/10k/Half Marathon. Run or walk your chosen distance whenever and wherever you want to earn an awesome medal and support the cause. 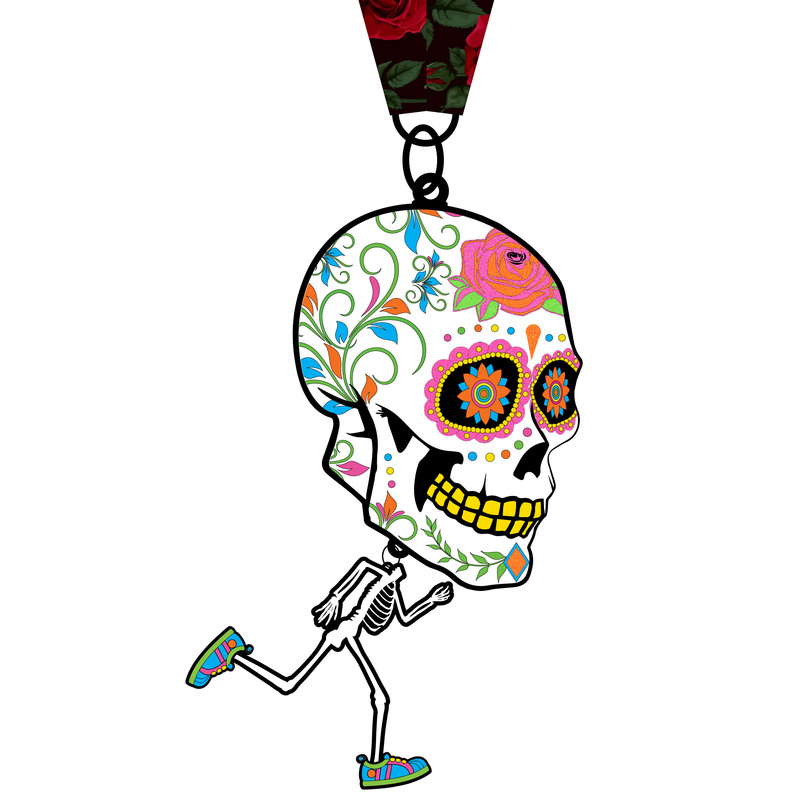 All registrants will receive a custom digital race bib and a 5″ Day of the Dead themed running skeleton medal. The skeleton’s body dangles below the colorful skull, like a reverse bobble-head. Be The Match, operated by the National Marrow Donor Program, is a nonprofit organization that’s dedicated to helping every patient get the life-saving transplant they need. As trusted leaders in advancing treatments for those facing life-threatening blood cancers, Be the Match provides the ground-breaking research, innovative technologies, patient support and education that save lives. Over the past 25 years, Be The Match has managed the largest and most diverse marrow registry in the world. The steps you take and dollars you help us raise will help patients afford transplant, find a matching marrow donor and have a successful transplant outcome. A portion of the proceeds from this virtual race (at least $5 from each registration) will be donated to Be the Match. For more information about this charity or to make a direct contribution, please visit BeTheMatch.org.